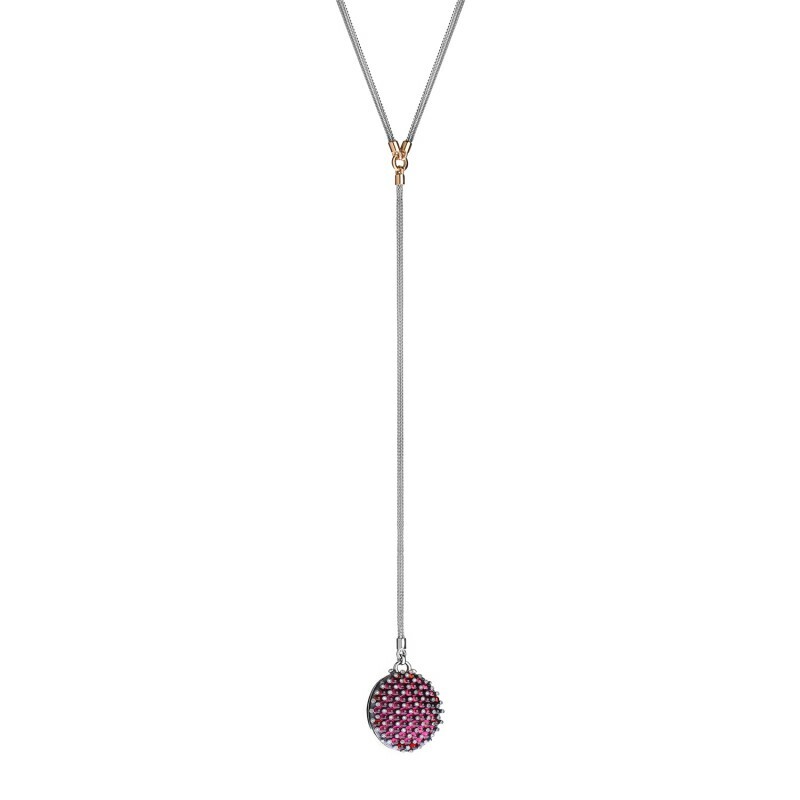 The Hidden Message Lariat is a Lariat Necklace in 18kt Gold and Sterling Silver adorned with Pave diamonds and Garnet and inscribed with a hidden love note. Calligraphy reads: كيف انساها و قلبي لم يزل يسكن قلبي انها قصة حبي (How do I forget her when my heart still resides within me, she’s my love story). Part of the 2017 Valentines collection, Inspired by all-time favourite love songs by Umm Kulthum, Fahmy’s muse for this collection, timelessly preserved in pieces both modern and classic. The collection’s main theme revolves around ‘Hidden Messages’, a growing global design trend. The sealed messages make for the perfect gifting gestures between two loved ones whom- after receiving their gifts- ultimately discover ‘What’s inside’.